Most economic data are released with a lag, sometimes quite a substantial one. Since the advent of regularly scheduled releases of economic data in the 1930s, a key challenge for economists has been to identify indicators that provide timely information about the release before it comes out—effectively, that “now-cast” its content. Recent academic research suggests that counts of Internet searches for certain words or phrases can predict some macroeconomic data releases. In this post, we show that Internet search counts can also predict some financial market data releases, as well as future price movements in some financial markets. 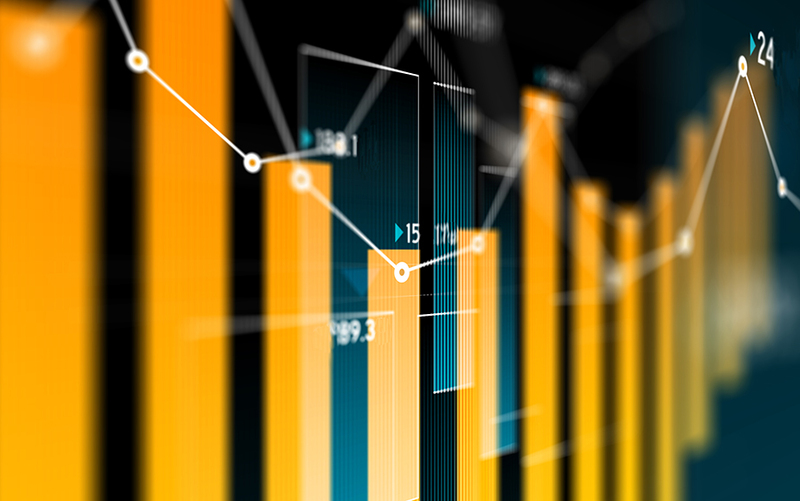 Economic data are generally released days to weeks after the activity they measure, which can stymie economists’ efforts to assess the state of the economy in real time. This data lag is why the formulation of economic policy is often likened to driving a car by looking out the rear window. Thus, being able to forecast the content of economic releases could improve policymaking. To date, little research has been done on using Internet search data to forecast financial market developments (apart from some stock market measures). The reason is that the search data must have leading properties because most financial market data are released with a very short lag. In this post, we show that Internet search data are a useful addition to the economist’s toolkit for forecasting financial market data. We show, first, that counts of search queries effectively now-cast the official release of mortgage refinancing applications. We then show that search counts predict movements in non-deliverable forwards on Chinese currency. A number of search engines are available on the Internet: Our data come from Google Insight for Search. Our understanding is that academic research is ongoing using data from other search engines as well, such as Microsoft’s Bing. We analyze search counts for certain words or phrases relative to total search counts in a geographical region (for example, worldwide, country, state, or metro region). So if the counts for one of our search phrases are not rising as fast as are total search counts, for example, then this relative measure will decline. The Mortgage Bankers Association (MBA) releases several indexes of mortgage applications. One of these looks specifically at refinancing. A weekly index, it is released on the Wednesday following the week in which the data are gathered. It is plausible that when applying for refinancing, borrowers seek relevant information on the Internet. Because the data are released with a lag, any contemporaneous data that influences applications would be useful in forecasting the data release as well as tracking applications in real time. We consider a simple model using (1) the search term “mortgage refinance” for the geographic area the United States and in the subcategory “home financing,” (2) a lag of the applications index, and (3) the ten-year Treasury yield and its one-period lag. The model now-casts refinancing applications relatively well (the R2—a measure of the share of variation in refinancing applications accounted for by the model—is 34 percent, which is reasonable for weekly changes). Additional explanatory variables in the model account for other publicly available information that may also now-cast refinancing activity. Simply identifying a relationship between search data and some economically or financially relevant variable does not show it is useful if other publically available data can do a better job. In this case, the search index increases the R2 by about 10 percentage points and is highly statistically significant, which suggests that the search data have information not captured by the model’s other variables. The search data do not lead actual applications (a one-week lag is not statistically significant). However, because the official data are released after a week, the search data still provide a useful now-cast. Sources: Mortgage Bankers Association; Google Insight for Search; Bloomberg L.P.; authors' calculations. Notes: All variables are weekly changes. Unlike now-casting, using Internet search data to predict financial market movements is a more fraught exercise. We could not forecast gold prices, European sovereign spreads, interbank rates, and equity market implied volatility with models using search data. However, in markets that, for some reason, do not efficiently aggregate information, search data do provide useful information. For example, language barriers and institutional impediments may make it difficult for offshore financial markets to access or interpret information from mainland China. As a result, relevant information about a potential renminbi revaluation may reach the offshore market with a delay. Interestingly, search counts for the term “人民币,” which means the people’s (人民, rénmín) currency (币, bì), or renminbi, tend to lead expectations of a revaluation. The search counts lead changes in the non-deliverable forward on the dollar-renminbi exchange rate by a week, even after controlling for momentum in the forward rate, and are highly statistically significant. Although the R2 is low at 5 percent, it is interesting to find evidence of search counts leading market moves. Economists are always looking for ways to improve their forecasts—to make their crystal ball a bit less cloudy. We find that Internet search counts possess useful information, not available in other variables, to now-cast or forecast the trajectory of some financial market data. While this predictive power is by no means universal—as we observe above, for a number of markets, Internet search data do not provide explanatory power beyond that of more traditional forecasting methods—the basic message is of a useful addition to the economist’s toolkit. Several research studies use Internet search data. Hyunyoung Choi and Hal Varian, both of Google, have established the usefulness of search data to predict upcoming economic data releases for U.S. retail sales, auto sales, home sales, and initial jobless claims, as well as visitor statistics for Hong Kong (2009). Chamberlin (2010) of the U.K. Office for National Statistics examines search data’s correlation with British retail sales, property transactions, car registrations, and foreign trips. A couple of papers have looked at the housing market. Wu and Brynjolfsson (2009) find that search data foreshadow U.S. housing sale and prices. Webb (2009) finds a strong correlation between the keyword “foreclosure” and actual foreclosures in the United States. McLaren and Shanbhogue (2011) of the Bank of England look at several markets, but find the strongest contribution of search data in a model forecasting U.K. house prices. Regarding unemployment, Askitas and Zimmermann (2009) show strong correlations between search data and German unemployment. D’Amuri (2009) of the Bank of Italy finds that an Internet-search-based measure is superior to other leading indicators in predicting Italian unemployment. D’Amuri and Marcucci (2009) find that augmenting models of the U.S. unemployment rate with an Internet job-search indicator outperforms traditional forecasting methods and the Survey of Professional Forecasters. Suhoy (2009) of the Bank of Israel finds search data to be a good predictor of labor market conditions in that country. Several papers examine the usefulness of search data in the area of U.S. consumer confidence and spending. Della Penna and Huang (2009) develop a query-based consumer confidence measure that leads those of the University of Michigan and the Conference Board. Schmidt and Vosen (2010) find that search data outperform these two consumer confidence indexes in forecasting private consumption. Similarly, Kholodilin, Podstawski, and Siliverstovs (2010) show that an Internet-search-based forecasting model outperforms several benchmark models of private consumption. While most of the academic work to date has focused on economic data, search data have also been used in stock market analysis, although only one group of researchers find that the data can predict prices. Andrade, Bian, and Burch (2010) use search data to identify peak interest in stock investing in a study of the sharp run-up in Chinese stock prices in 2007. Preis, Reith, and Stanley (2010) find that searches for specific company names correlate with transaction volumes for those companies’ shares. Vlastakis and Markellos (2010) use search data as an indicator for information demand on specific stocks and find that this leads not only trading volume but also volatility. Da, Engelberg, and Gao (2010a) construct an “investor attention” index using search data and find that it predicts higher stock prices over a two-week horizon, followed by a reversal over a one-year time frame. They also conclude (2010b) that searches for a firm’s most popular products are better than analyst forecasts at predicting earnings surprises and the subsequent market reaction. Many thanks to those who took the time to give comments. It is interesting to read that more precise search engine data can provide more “resolution” in order to forecast financial markets. Very Interesting. Could you publish details around the statistics underlying this? The close correlation between Google search data and actual mortgage applications is fascinating. Great article and thank you for the related reading list. In our research we also found that aggregated Google Trends data does not have sufficient "resolution" to predict equity, commodity or forex markets. However, real-time "raw" search engine data that includes geo information, precise timestamps and several other data elements can contain predictive signals for those markets. In December of 2011 Mao / Counts / Bollen published a recommended paper on this topic.